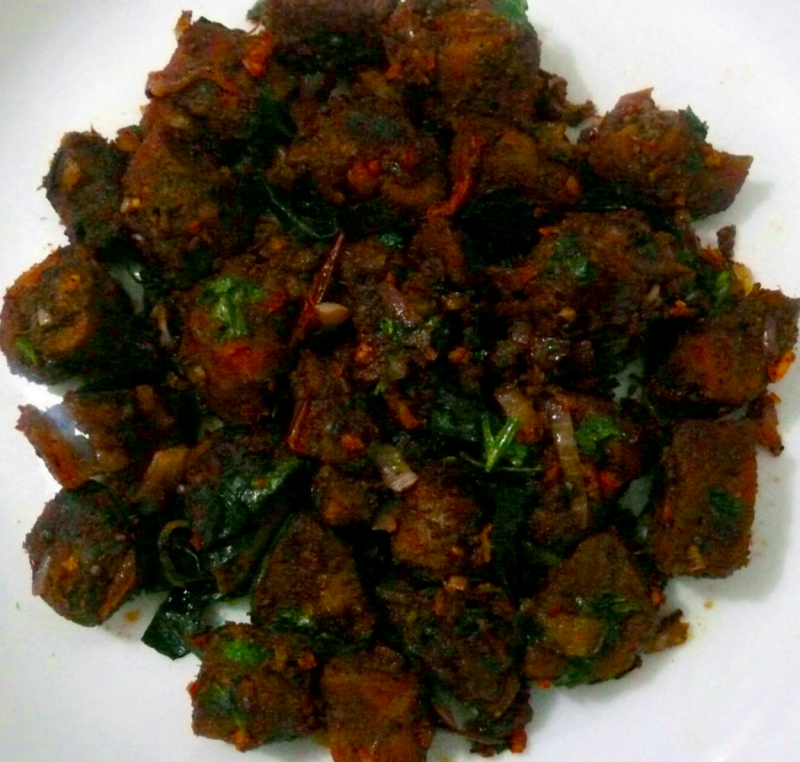 Beef cooked with pepper and coconut pieces then shallow fried in oil.Taaassty.Here it is called as Indian Beef Fry. Clean the beef pieces and mix it with all ingredients except oil and coconut pieces and marinate for 1 hour. Cook in 4 cups water for 15 mins(covered) in a pressure pan and then up to dry . Heat oil in tawa ,saute the capsicum pieces and put this cooked beef-pieces and the coconut-pieces . Serve with rice and curry.